When your new TurtleNeck arrives please do these simple tests to make sure the product is fitting your horse properly. A. Stand to the side of your horse and pull the elastic neckline. 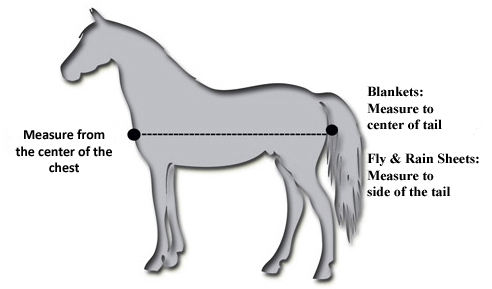 It should pull away from the horse’s neck 8 to 10 inches. B. Place your hand under the blanket by the shoulder and make a fist. Move your fist around both shoulders and the chest. If there is no tension on your hand then you have a good fit in the shoulders. If the fitting fails please contact our office for an exchange.